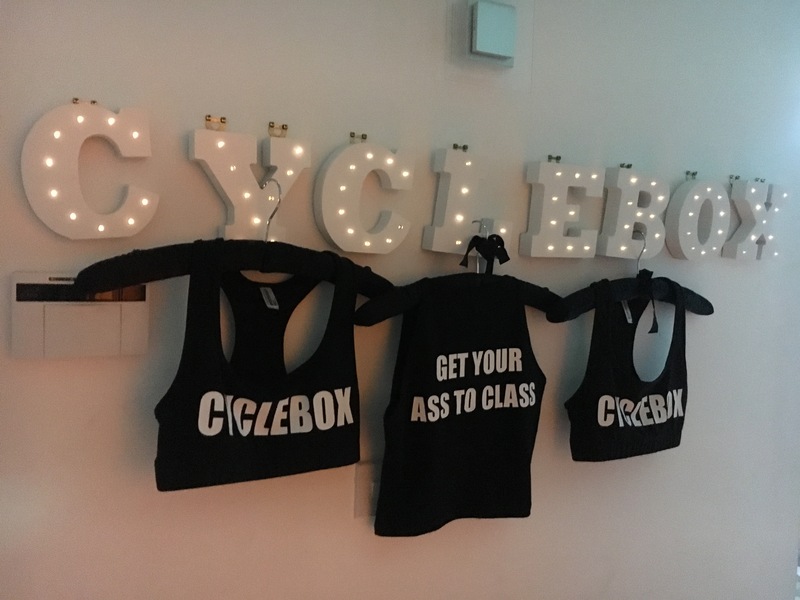 When the invite to Cyclebox Glasgow‘s blogger event arrived in my inbox, I was excited – but also a little nervous. I’ll hold my hands up, cardio has always scared me. This is due to a few things. Firstly, I have asthma and – as much as this isn’t an excuse – it is a horrible, panicky feeling when you can’t breathe. I’m also so out of practice with anything fitness related, I avoided PE at all costs and my gym membership is gathering digital dust so I’ve never properly pushed myself. 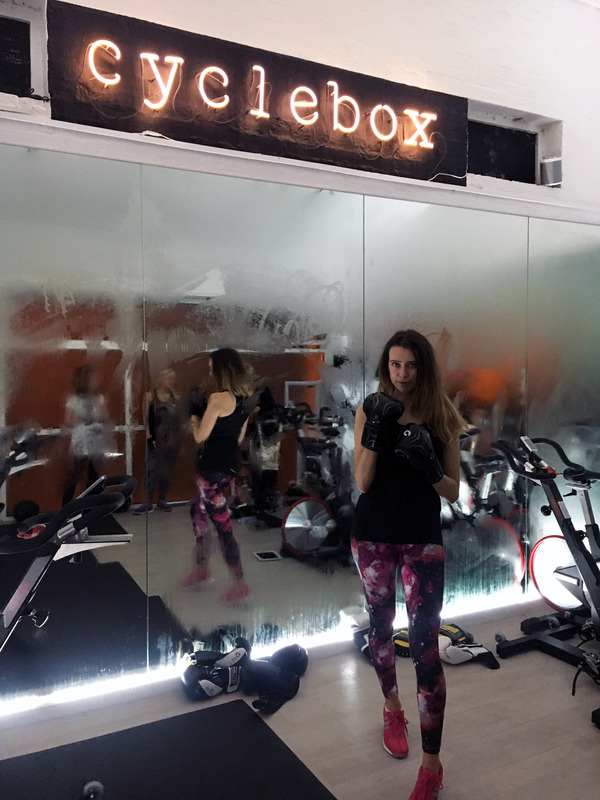 This aside, I still couldn’t wait to head to Cyclebox – I even bought new gym leggings for the occasion (sorry, the fashion blogger in me is always just dying to get out). The studio is located just off Byres Road in Glasgow’s west end and it has a really unique feel to it as soon as you walk in the door. 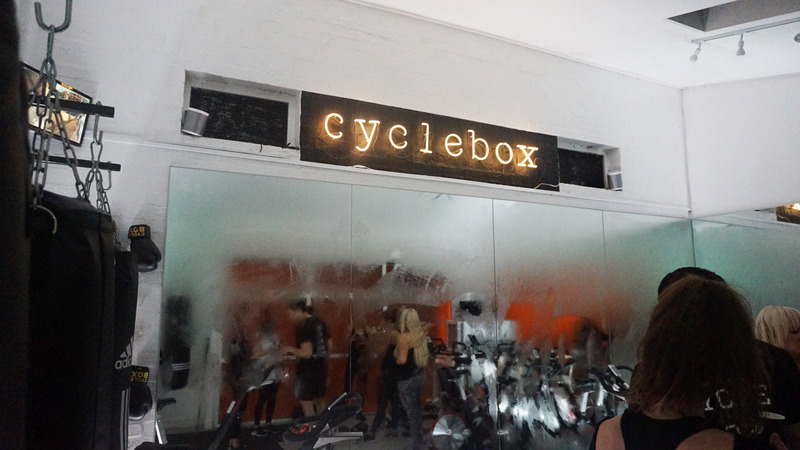 Cyclebox’s Mandy’s enthusiasm is contagious and she soon had us working hard in a 20 minute taster session on the bikes. The lights go down, the (amazing) music goes on and Mandy certainly puts you through your paces to say the least! It feels more fun than a spin class and the small studio creates a great atmosphere. 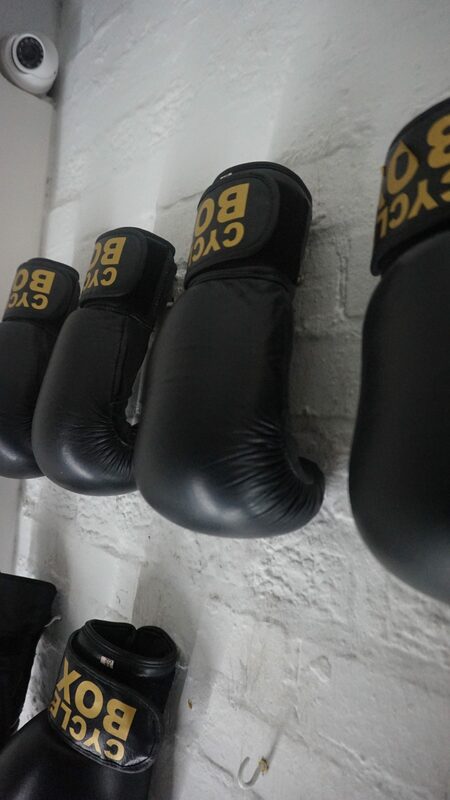 After our taster session of some serious cycling, it was time for boxing with The Wolf. 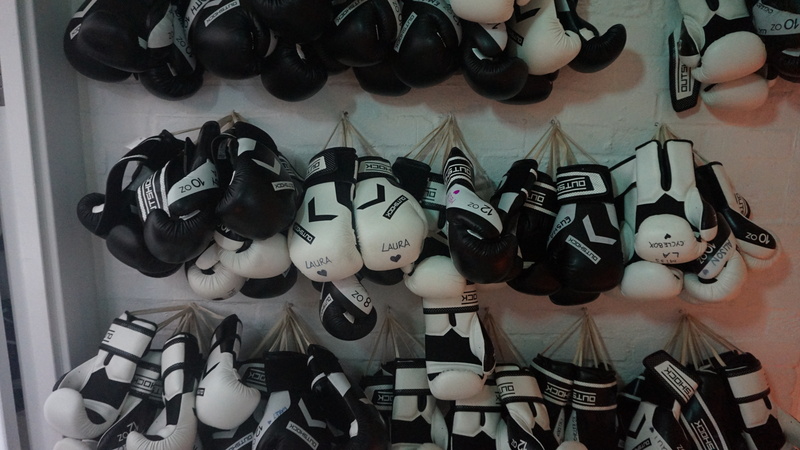 I’ve never tried boxing before, but I seriously loved it! I’m not even going to lie, I was struggling with how worn out I felt by the end of the class, but in a good way. It’s given me a real push into realising how good a work out can make you feel and I’m going to work on getting my fitness level up this year. 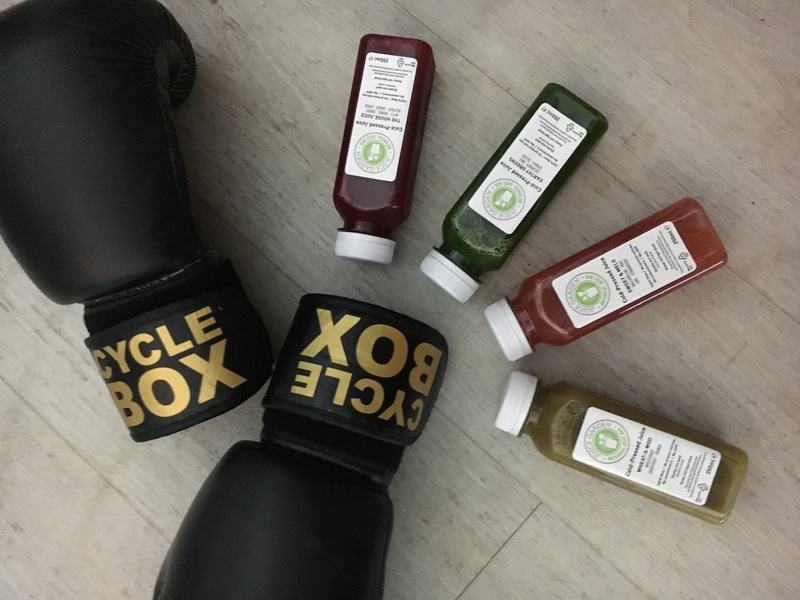 After doing more exercise in under an hour than I have in an entire year, I was certainly ready for the yummy juices from Juice Garden and power balls created by Cyclebox chef (and Three Sisters Bake’s) Chefarella aka Linsey Reith. 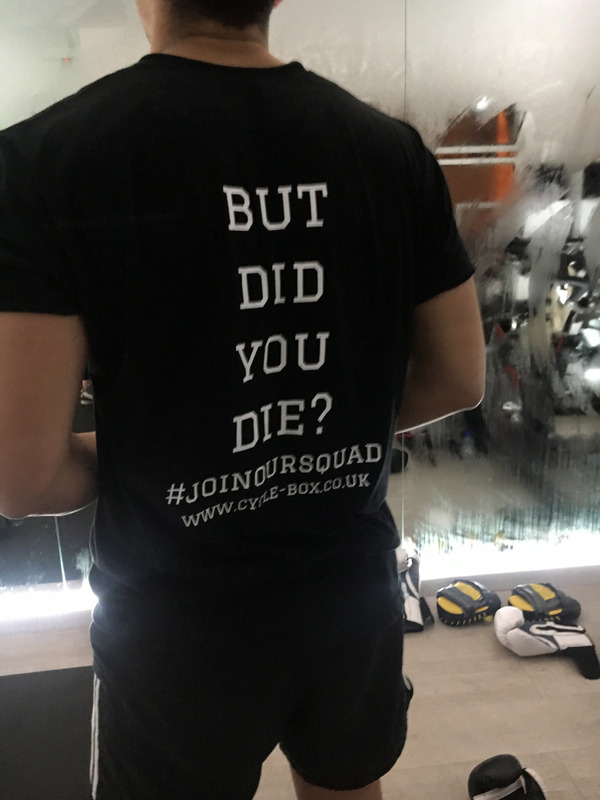 I adore Mandy and her a-mazing squad’s passion for making fitness fun and honestly cannot recommend it enough – everyone was talking about how unique a take on working out Cyclebox is, right here in Glasgow. Normal sessions last 45 minutes and start from £10 per session or you can opt for a monthly unlimited membership for £70. For all the info #getyourasstoclass and visit www.cycle-box.co.uk. See more on their Facebook and Instagram too.